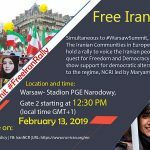 The Supporters of the principal opposition in Iran, the MEK prepare for a rally in Warsaw, just before the Warsaw Summit starts on February 13, 2019. On February 13 and 14, 2019, the Polish Foreign Ministry and the United States Department of State are hosting an international conference to discuss the future of Middle Eastern policy. The conference will largely focus on the threat posed by the Iranian regime to the surrounding region. High-ranking officials from several dozen countries are expected to attend the two-day event. Unsurprisingly, the Iranian regime reacted to the announcement of the conference with rage and condemnation, Regime officials attempted to discredit the conference, demanded that the event be cancelled, and even made unspecified threats to “take action” against Poland for holding the conference. These efforts ultimately failed, but they provided valuable insights into the regime’s deep fear of any challenge to its authority, as well as its behavior when responding to feedback from the international community. U.S. Secretary of State Mike Pompeo initially said that the goal of the conference was to find a way to “make Iran act like a normal country,” and the mullahs’ response to the conference was another example of why this is not possible. The Iranian regime is past reform. The people of Iran are demanding a democratic alternative, and it is clear that the delegates at the Warsaw Conference should listen to their voices when determining future policy toward the Iranian regime. 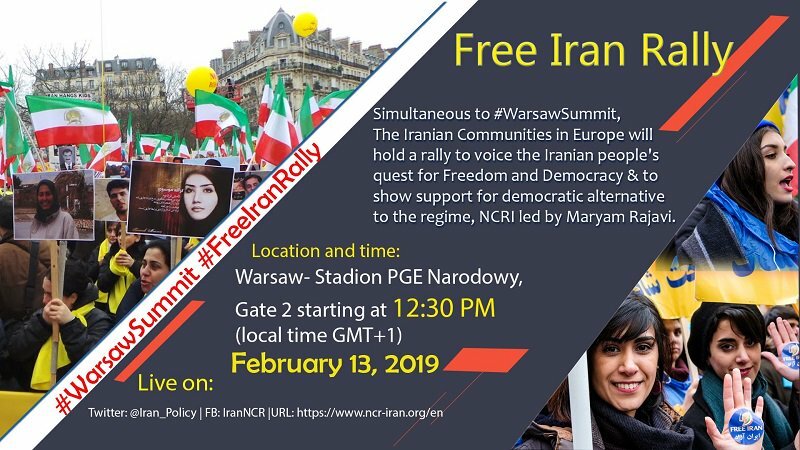 On February 13th, the National Council of Resistance of Iran (NCRI) and the People’s Mojahedin of Iran (PMOI/MEK) held a rally prior to the beginning of the conference in Warsaw. 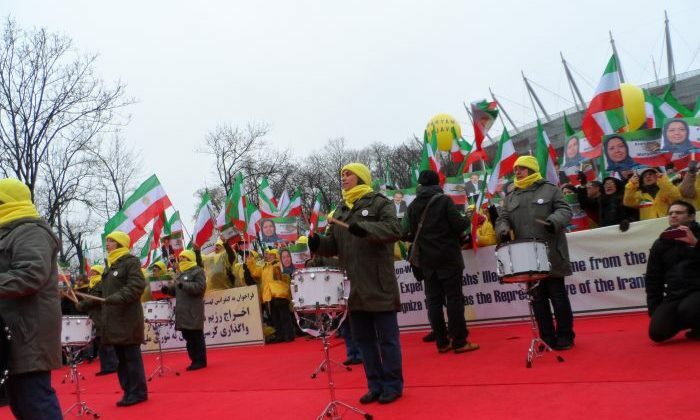 The rally’s purpose is to draw attention to the Iranian people’s desire for regime change and to show their support for the NCRI and its leader, Mrs. Maryam Rajavi, as the democratic alternative to the theocratic regime. The most recent NCRI rally, held in Paris last week, drew thousands of Iranians. Those attending and speaking at the rally will call upon the delegates at the Warsaw Conference to condemn the Iranian regime for its forty years of human rights abuses toward its own people, blacklist Ministry of Intelligence and Security (MOIS) agents in order to combat their efforts to conduct terrorist plots on foreign soil, adopt a firm policy toward the Iranian regime, and affirm the right of the Iranian people to overthrow the theocratic regime currently in power. The attendees will also declare their support for Maryam Rajavi’s ten-point plan for a peaceful transition to a free and democratic Iran. Mrs. Rajavi’s plan includes a structured time frame for democratic elections to form a new government to represent the Iranian people after the fall of the clerical regime. The MEK and NCRI, led by Mrs. Rajavi, want to replace the oppressive regime with a democracy with a clear separation of religion and state, equal rights and representation for women and religious and ethnic minorities, an end to the death penalty, and an immediate cessation of all nuclear activities. Notable participants in the rally will include Advisor to U.S. President Donald Trump and former New York Mayor Rudolph Giuliani, former Algerian Prime Minister Sid Ahmed Ghozali, former U.S. Senator Robert Torricelli and several Polish Members of Parliament and the Senate. The speakers will hold a brief press briefing before the rally begins.